XYZ video measurement video comparator system 12"x8'x6"
Large 12″x8″x6″ manual XYZ video cmm measurement systems featuring 1 micron resolution, high precision XYZ 3 axes measurement, digital read out (DRO) on computer. 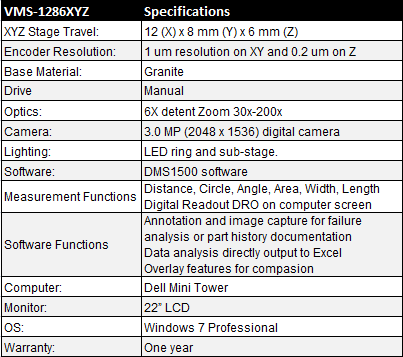 VMS-1286XYZ is an easy-to-use, powerful video based 3-axis manual measuring system. 3M digital camera for ultra high resolution image and sub-pixel accuracy measurement. 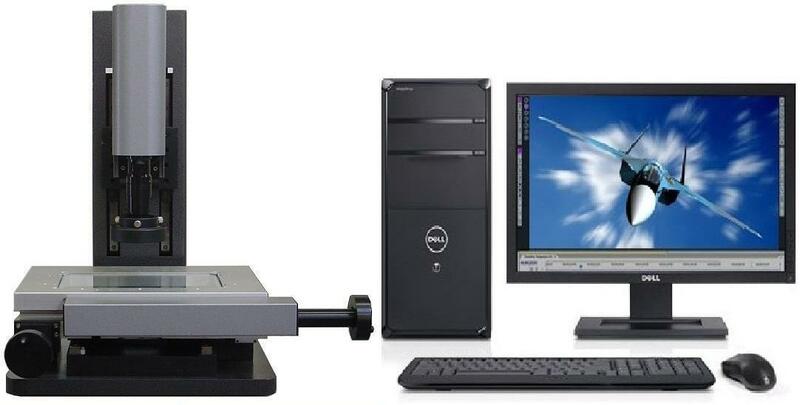 Measurement software with selectable resolutions balances the speed and image resolution.